Format: Television show, Book and Audio. 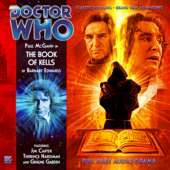 Time of Origin: Gallifrey, 50 years later then The Doctor. 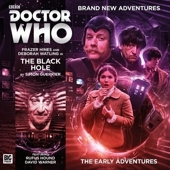 Appearances:"The Time Meddler", "The Daleks' Master Plan", "The Black Hole", "The Blame Game", "The Rise of the New Humans", "How to Win Planets and Influence People", "No Future", "The Book of Kells", "The Resurrection of Mars", "Lucie Miller", "To the Death", "The Secret History", "Doom Coalition 4 - The Side of the Angels","Twelve Doctors of Christmas: The Persistence of Memory" (Behind-the-scenes role in the events of "The Defectors" and "Last of the Cybermen"). Doctors: First Doctor, Second Doctor, Third Doctor, Fourth Doctor, Fifth Doctor, Seventh Doctor, Eighth Doctor and Twelfth Doctor; manipulated the Second Doctor into switching places with the Sixth Doctor but did not face the Sixth Doctor directly. Companions: Vicki, Steven Taylor, Sara Kingdom, Jamie McCrimmon, Victoria Waterfield, Liz Shaw, Jo Grant, Sarah Jane Smith, Harry Sullivan, The Brigadier, Sergeant Benton, Captain Mike Yates, Ace, Bernice Summerfield, Susan Campbell, Lucie Miller, Tamsin Drew, Liv Chenka, Helen Sinclair; Zoe Herriot was involved in one of The Monk’s plans but never learned of his role in events. History: A Time Lord like The Doctor, Mortimus originates from Gallifrey, where he and the First Doctor were friends at the Academy, as revealed in a flashback of the Fifth Doctor's in "Divided Loyalties". 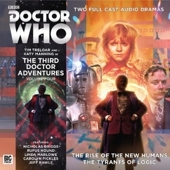 In contrast to other renegade Time Lords, Mortimus, who would come to be known as the Monk, has rarely been shown committing evil actions for the sake of his own power, but has justified his decisions to meddle with history on the grounds that his actions will make things 'better', even if his earlier justification that 'It's more fun [this] way' makes it clear that he doesn't consider the full implications of his actions ("The Time Meddler"). However, whenever his plans bring him into contact with The Doctor, the Monk's self-proclaimed 'good intensions' have often been put aside in favour of a more petty desire for revenge, working with the Daleks on his second appearance simply to punish The Doctor for trapping him in 1066 ("The Daleks' Master Plan") and later masterminding a complex scheme to change history and invade Earth just to make The Doctor suffer (Alternate Universe Arc - "Blood Heat" to "No Future"). While one incarnation came across as a more comic yet professional incarnation who preferred to focus on business matters, another, physically older incarnation, went so far as to target The Doctor at various points in his timeline with no thought for how the defeat or death of a younger Doctor might affect the Monk himself, constantly trying to evade responsibility for his mistakes by either claiming that the situation was 'complicated' or blaming The Doctor for things going wrong. As he regenerated further, the Monk's actions have become increasingly petty on a fundamental level, demonstrating an inability to accept the consequences of his actions in favour of blaming The Doctor when his plans go wrong rather than accept that he has made himself the villain. 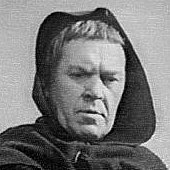 The Monk made his debut in Doctor Who in the First Doctor television show "The Time Meddler", when the First Doctor, Vicki and new companion Steven Taylor landed at the Northumbrian Coast in 1066, just before the Battle of Hastings, and realized that Steven Taylor, a man they met during "The Chase", has stowed away on the TARDIS, Steven dismissing their claims that they had travelled in time when he discovered a modern wristwatch. After the three TARDIS travellers became aware of the Monk's presence in this time, it was quickly made obvious that The Monk was a time traveller as his monastery included such historical anomalies as a modern tea set, but was not until later in the story that Steven and Vicki learned that The Monk was another member of The Doctor's race, The Doctor speculating that he left their home world half a century before The Monk. Although The Monk captured The Doctor to prevent him interfering with his plans to alter the outcome of the Battle of Hastings by destroying the Viking fleet that weakened Harold's army before the Battle, The Doctor was able to escape, while Vicki and Steven learned that The Monk had already interfered with history in more minor ways, teaching DaVinci about powered flight and collecting a fortune in a bank by depositing some money and then travelling forward two hundred years. Outraged at The Monk's flippant use of time travel to interfere and reshape history simply because it was more 'fun', The Doctor managed to stop The Monk's plans by convincing the local Saxon villagers that The Monk was a Viking spy, causing them to remove the 'flares' that The Monk had provided the Vikings with - really missiles that would have destroyed the fleet - while The Doctor personally removed the dimensional circuit from The Monk's TARDIS, leaving the ship's interior the same size as its stone tomb exterior, and thus useless to The Monk. After the Monk was somehow able to operate his TARDIS once again, The Doctor, Steven, and new companion Sara Kingdom were confronted by The Monk while on a newborn planet while attempting to escape the Daleks ("The Dalek's Master Plan"). Although the Meddling Monk attempted to trap The Doctor and his friends there by damaging the TARDIS lock, The Doctor was somehow able to use his ring to destroy the lock and open the door. When The Meddling Monk tracked The Doctor to Egypt, along with the Daleks, despite The Monk's attempt to ally with the Daleks, The Doctor managed to trick the Daleks into moving The Meddling Monk's TARDIS by locking its Chameleon Circuit in the form of a Police Box, as well as stealing The Monk's directional unit. Although Sara died in the final confrontation, The Doctor was able to use the directional unit to track the Daleks back to their home planet and trigger the Time Destructor ahead of schedule, while leaving The Monk trapped on an ice world as he could no longer steer his ship. Having escaped this new prison, the Monk mounted a particularly complex attack by travelling into The Doctor's future, learning of how his former foe had changed since their initial encounters, becoming outraged at what he perceived as The Doctor's hypocrisy as the Seventh Doctor freely 'meddled' in history where he had once criticised the Monk for doing the same (The fact that, on many occasions, The Doctor's involvement appeared to have been part of history originally seems to have had no impact on The Monk's anger). During a trip to the outskirts of the universe, The Monk had managed to trap the Chronovore ("The Time Monster") Artemis, using her immunity to the laws of cause and effect to greatly enhance his powers, as well as making a deal with the Eternal Death to become her Champion, in opposition to the Eternal Time and her new champion in the form of the Seventh Doctor. Determined to get revenge on The Doctor, The Monk travelled to Varda - the homeworld of the Vardans, a race whose invasion of Gallifrey had been defeated by the Fourth Doctor and subverted by the Sontarans ("The Invasion of Time") -, releasing them from the time loop that they had been trapped in and offering the Vardans his services in planning an invasion of Earth to avenge their defeat at the hands of The Doctor and the Sontarans, Earth being a strategically important world to the Sontarans as well as being precious to The Doctor. High on his newfound power, The Monk attempted to prevent The Doctor's interference by arranging for the Third Doctor to die in his confrontation with the Silurians ("Doctor Who and the Silurians"), but when this simply created an alternate universe, he contented himself by resurrecting the monstrous Garvond after The Doctor believed he had averted its creation ("The Dimension Riders"), binding The Doctor to Huitzilin, a psychically-enhanced Aztec warrior ("The Left-Handed Hummingbird"), and restoring the Land of Fiction after it was destroyed by the Second Doctor ("The Mind Robber" and "Conundrum"). With The Doctor occupied in stopping those new threats - although The Monk always knew that The Doctor would defeat them - The Monk established a new identity on Earth in the 1970s in the form of industrialist Robert Bertram, removing various clues that The Doctor would leave himself in the future to help himself stop the crisis, to the point of introducing the CD to Earth a decade early as he could more easily edit a CD to remove incriminating information compared to existing tapes. He also assisted the Vardans in establishing themselves as subliminal signals in Earth's media, subtly brainwashing the humans to make them more susceptible to the Vardan influence. He also provided UNIT with virtual reality training equipment that would further subvert their wills and turn them against The Doctor, although this plan was only partly successful as The Doctor's old friends The Brigadier and Sergeant Benton were able to retain their own minds thanks to The Brigadier's Buddhist training - inspired by The Doctor's example - and Benton's disinterest in the modern media, allowing them to warn other soldiers of the danger. Although these signals were discovered by some people, the discovery actually worked to the Vardans' benefit as they resulted in the formation of the terrorist group Black Star, who were convinced that UNIT were using the subliminal messages to keep threats secret from the public for their own purposes, The Monk escalating the subsequent riots using mood-manipulating technology of his own. Having apparently won The Doctor's companion Ace to his side, taking advantage of the current hostility between her and The Doctor due to such actions as The Doctor allowing Ace's old lover Jan to die ("Love and War"), The Meddling Monk then managed to get himself named as UNIT's Scientific Advisor after a particularly violent riot, declaring The Doctor and his allies a 'Foreign Hazard' to be shot on sight. After Ace had apparently stabbed The Doctor, allowing them to capture him during a mock sacrificial ritual, The Monk subsequently took him to the ice planet where The Doctor trapped The Monk after their last fight, intending for The Doctor to use up all his remaining regenerations as he starved to death on that planet, taunting The Doctor with the evidence that his compaions and the humanity he valued were such flawed beings. However, having taken a piece of paper from the desk that was the current appearance of The Monk's TARDIS, The Doctor was able to use that paper to escape, mocking The Monk's envy of his friends and allies as he disabled the Vardans by broadcasting a signal that would trap the Vardans in a carrier wave and banish them from Earth. As The Doctor revealed that Ace had always been loyal to him - she had only 'stabbed' him with a pantomime dagger, rejecting The Monk's attempt to win her over as she recognised that the world had to be accepted as it was -, he taunted The Monk's inability to understand what it truly meant to be The Doctor, the other Time Lord unable to accept that The Doctor chose his companions for their ability to disagree with him as they helped each other become better rather than just to provide him with someone to tell him how great he was. The furious Monk prepared to use Artemis to erase this defeat from history and try again, but before he could do so, Artemis snapped free of her containment, having been freed by Ace; Artemis had blocked The Monk's attempts to win Ace to his side from the beginning, and Ace had simply decided to string him along until she could find a way to stop him. Artemis, now free, nearly destroyed the world in revenge, but The Doctor convinced her to show mercy, although The Monk rejected his offer to come to some reconciliation despite The Doctor having made his peace with Ace for their recent arguments. The Monk tried to escape, but Artemis captured him and took him away to make him pay for her imprisonment. Having escaped this imprisonment and regenerated into a new form, The Monk allied himself with the Seeth, the rulers of a pocket dimension, intending to use The Doctor's TARDIS to allow them to access our universe via a black hole ("The Black Hole"). Shooting Time Lord constable Pavo, who had been tracking The Monk while working on board a human cruise ship in the far future, The Monk used Pavo's perception-altering ring to pose as Pavo, even managing to trick the Second Doctor, Jamie McCrimmon and Victoria Waterfield when they arrived on the ship. Although forced to feign cooperation with them to stop the black hole he had initially created to release the Seeth when it went out of control, 'Pavo' then arranged for The Doctor and Jamie to go on a mission to talk with scientist Dastari about his time-travel experiments on his behalf after the apparent loss of his TARDIS ("The Two Doctors"), in reality using their departure to try and release the Seeth again. However, he was unaware that The Doctor and Jamie had actually not only completed the mission to Dastari's station, but had actually arrived back on the ship before they had left, allowing them to witness The Monk taking Pavo's place and help the real Pavo regenerate into a new female incarnation. Having spent the subsequent week in hiding while Pavo posed as the ship's new captain, once their past selves had left, The Doctor and Jamie were able to rescue Victoria and use The Monk's TARDIS to close the black hole that the Seeth were using to attack. The Monk managed to escape, but despite being officially obligated to take The Doctor back to Gallifrey, Pavo instead chose to erase The Doctor, Jamie and Victoria's memories of this experience, not wanting to make it public that she required the aid of a renegade to stop The Monk. Claiming that he had only just learned about The Doctor’s trial and exile on Earth ("The War Games" and "Spearhead From Space"), The Monk decided to visit The Doctor to get revenge for his own past imprisonment ("The Blame Game"). He convinced The Doctor that he would take him to the 51st century where The Doctor could get a Vortex manipulator, but instead trapped The Doctor in the distant past on a Delphon ship which was in Earth as it formed, stocked with material gathered by The Monk over the years just so that the other renegade could make The Doctor question the scenario without giving him any clear evidence until it was too late for The Doctor to do anything about it. As The Monk departed the ship, Liz Shaw convinced The Monk to return to The Doctor and save him, accusing him of being no better than the humans he had dismissed earlier for playing with The Doctor's emotions like that. Although The Monk returned The Doctor to the 1970s, Liz stole several important components from The Monk's TARDIS, giving The Doctor new material to work with while trying to repair his own ship. Some time later (in The Third Doctor Adventures - Vol.4 story "The Rise of the New Humans"), The Doctor and his new assistant Jo Grant became curious about two recent suicides, with one victim having drowned herself and another jumping off the tenth level of a multi-storey car park; analysis in the morgue had revealed that the drowning woman had begun to grow gills before her death, and the man who jumped off the building had been growing wings before he hit the ground. Tracing the two victims to an exclusive clinic, The Doctor realised that the clinic's Chief Administrator was The Monk, who was using medical technology from the future to treat diseases in the present, while his chief physician, Doctor Kurdi, attempted to perfect a process that would grant the subject accelerated evolution to help them cope with disease or injury. Although The Doctor was opposed to The Monk's plans due to the risks of tampering with history in such a manner, particularly after seeing the previous two test subjects and learning that the third, Harriet was still in resident at the clinic while suffering from a series of psychological problems, he was forced to concede to The Monk's demands when The Monk infected Jo with a fatal virus that would kill her if he didn't perfect Doctor Kurdi's process. The Doctor was able to devise a cure and a means of negating the process, but the clinic was then attacked by Harriet, whose warped mental state drove her to infect the other patients with the same process, the enhancements including a telepathic link and a heightened sense of their own superiority over humanity (although The Doctor and The Monk were immune to the virus). Fortunately, The Doctor, Jo and The Monk gained an unexpected ally in the form of Charlie Fletcher, a criminal who had been left a paraplegic after a vicious beating; with the virus apparently 'choosing' to enhance Fletcher's mind to give him various telepathic abilities rather than healing his body, his enhanced mind apparently allowed Fletcher to avoid being caught up in the collective consciousness of the others. After The Doctor had perfected an airborne version of the cure in The Monk's TARDIS, Fletcher protected The Doctor while he added the cure to the clinic's air supply, although the strain of deflecting the bullets burnt out Fletcher's mind. As the former victims of the process returned to normal, The Monk fled in his TARDIS, only finding out after he left that The Doctor had sabotaged the temporal compensators to use as part of his work on repairing his own TARDIS. By the time The Doctor next became aware of The Monk's activities, The Monk had managed to become part of the Darkon Corporation, a galactic corporation dedicated to conquering planets ("How to Win Planets and Influence People"). Initially starting out as a junior member, he was able to rise to head of the company by various subtle temporal manipulations, giving a presentation on suitable methods of taking over planets in general and Earth in particular. In the process, he also discussed some of his past attempts to conquer Earth, but also mentioned how The Doctor had thwarted these efforts; an attempt to buy property in the past to sell it in the present failed when The Doctor, Sarah and Harry revealed that the land was subject to subsidence and/or arranged for it to be returned to the descendants of its original owners, plans to change the Russian Revolution by using a heat ray to change the weather were cut short when The Doctor used the ray to create a beach party, and The Monk actually stepped aside from a plan to make himself a prominent TV personality in contemporary Britain because he found it boring. Just as he was about to lead the Darkon Corporation on a new campaign of conquest, The Monk was informed that The Doctor, Sarah Jane Smith and Harry Sullivan had just brought up a controlling share in the Darkon Corporation and turned it into a charitable organisation, leaving The Monk in charge of resources such as assorted soup kitchens and free energy spaceships. Following this, the Monk used his business expertise to assist a group of Time Lords in a complex plan that involved an apparent alliance with the ruthless time-twisting killers known as the Weeping Angels ("Blink"). 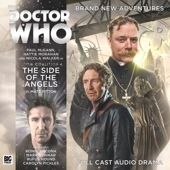 Having learned of a conspiracy by the Time Lord Padrac to destroy the rest of the universe in the name of ensuring Gallifrey's survival, a group of Time Lords, led by Cardinal Ollistra, had set themselves up as business figures in 1970s New York, with the Monk acting as their agent as they bought various buildings and started a range of construction projects. Believing that they couldn't defeat Padrac's scheme, these Time Lords planned to turn New York into a vast Enclave by creating buildings 'tainted' with artron energy that would be charged up by the Angels feeding on humans in the last moments before Padrac's plan destroyed the universe in the twenty-fifth century, allowing these other Time Lords to survive the destruction and confront Padrac's forces directly. Disgusted at his peoples' plans to hide, as well as his own anger at the Monk for actions that the Monk would commit in The Doctor's past and the Monk's future, The Doctor was not surprised when the Angels agreed to help Padrac's forces rather than adhere to their existing deal, the Angels sending the Monk back in time after he tried to trap The Doctor's companions Liv Chenka and Helen Sinclair in a position where they would be attacked by an Angel. Caught off-guard by the Angels' new loyalties, the Monk was attacked and sent back in time by several centuries, leaving the Angels to be destroyed when the energy they gained by feeding on the Monk charged up the Enclave to such an extent that the Angels couldn't help but feed on it, resulting in the Angels destroying themselves and the Enclave in a massive paradox. Having somehow recovered a TARDIS after the Angels' attack, the Monk regenerated into a new form of an older man, this time deciding to acquire a companion for himself. Setting up a series of 'job interviews' to find a suitable companion, the Monk eventually chose Lucie Miller - a former companion of the Eighth Doctor, although there is no evidence that he was aware of this when he chose her - with one of their travels seeing them acquire the Book of Kells from Ireland in 1006 for his collection ("The Book of Kells"). However, he abandoned Lucie on Deimos after an argument when he arranged an avalanche to kill a couple who would give birth to a future dictator, subsequently tampering with Ice Warrior history to try and create a new timeline where they would re-terraform Mars to take it back from the humans. The Doctor was able to set history on its proper course and rescue Lucie, but his actions resulted in him becoming estranged from his new companion Tamsin Drew, another potential candidate for the Monk's companion interviews who had been rejected as she posed as a businesswoman on her 'application' and diverted to another interview site with other 'trouble candidates' that had been intercepted by The Doctor ("Situation Vacant"). Due to the Monk's manipulations, Tamsin came to believe that The Doctor allowed the Ice Warriors to kill hundreds of innocent people in order to preserve history and save Lucie Miller, despite the fact that the Ice Warriors would go on to kill billions when they terraformed the planey Halcyon in the future rather than the few thousands who would have died, Tamsin deciding to travel with the Monk instead (although she was unaware that the Monk had given the Ice Warriors the chance to mount such an attack in the first place) ("Deimos" and "The Resurrection of Mars"). Although The Monk was able to trick Tamsin into helping him collect human artefacts from museums in the 22nd century during their new invasion of Earth, Tamsin was disgusted when she learned that the Monk's earlier aid to the Dalek Time Controller had led to the Daleks mounting a new invasion of Earth, as well as the revelation that the Monk had aided the Daleks even further by releasing a Dalek virus that had destroyed a sizeable portion of the human race ("Lucie Miller" and "To the Death"). Although the Monk tried to defend his actions by arguing that the situation with the Daleks was complicated, Tamsin dismissed this as a pathetic attempt to justify himself, reflecting that the Monk was incapable of accepting responsibility for his actions. After the Daleks destroyed The Monk's collection and killed Tamsin while trying to exterminate The Doctor, The Monk saved The Doctor and Susan Campbell - The Doctor's granddaughter and one of the leaders against the Dalek invasion - from the bomb that destroyed the Daleks, but The Doctor, disgusted at The Monk's role in the invasion, told his former friend that the only circumstance under which he might have been prepared to forgive the Monk if he had jumped into the bomb's explosion himself, ordering the other Time Lord to leave his sight. Mad with grief after Tamsin's death, The Monk eventually convinced himself that The Doctor was the one truly responsible for his loss, his subsequent quest to find some way to remove The Doctor from history completely eventually leading him to Sophia, a human/Hetrodon hybrid living in ancient Greece, whose Hetrodon heritage allowed her to perceive the future and force objects out of time ("The Secret History"). Having convinced her that The Doctor was evil because of the deaths he allowed to happen in the name of preserving history, The Monk tested Sophia's powers by having her cause the Seventh and Sixth Doctors to swap places with the Third and Second Doctors respectively, just prior to crucial events as UNIT were called to investigate an island where an alien ship had crash-landed decades ago ("The Defectors") and the TARDIS crew discovered a hidden Cybermen ship that sought to alter the outcome of the Cyber-Wars ("Last of the Cybermen"). Although The Monk had hoped that the 'new' Doctors would change history, Jo Grant and Zoe were able to help the displaced Doctors realise what their predecessors would have done if they remained, allowing them to resolve the various dangers and the timeline to unfold as it should before the future Doctors returned to their rightful place. 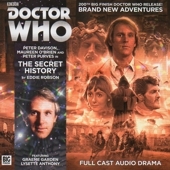 Despite this, The Monk achieved his final goal when he arranged for Sophia to make the Fifth Doctor swap places with the First just before the TARDIS arrived in 540 AD, travelling to the city of Constantinople ("The Secret History"), where The Monk had arranged for the release of two Ostardi, a race who travelled the universe and sought to heal disease, just as he had discreetly unleashed a plague on Constantinople. If the First Doctor had been present in that time frame, he would have banished the Ostardi before they could take action on Earth in order to preserve the timeline, but with The Monk having released a deadly plague a year ahead of 'schedule', the Fifth Doctor hesitated due to his moral reluctance to cause death on such a scale, allowing the Ostardi to cure the disease now and grant an immunity to future plagues. When The Doctor was drawn away by the Time Lords as they detected his role in such a major change to the timeline, The Monk was able to use his equipment and Sophia's powers to essentially take The Doctor's place in history by occupying the 'hole' that was created when the Time Lords took him away, rewriting reality so that The Monk was now and had always been The Doctor while the 'real' Doctor no longer existed. With his new role as The Doctor, The Monk set about his own version of The Doctor's travel, changing history in a manner that he believed would benefit the wider universe, convincing his companions that they were protected from being erased by any changes they might make thanks to their time in the TARDIS, proclaiming himself to be a better Doctor than The Doctor. However, The Monk underestimated Sophia's attachment to him, with her attempt to search for him after he took The Doctor's place allowing her to see the new future that would result from his actions and recognise the danger if The Monk was allowed to continue. Eventually, Sophia was able to draw the Fifth Doctor back into existence and explain what The Monk had tricked her into doing, working with The Doctor to come up with a plan to stop him. Using The Monk's TARDIS - which had remained in Constantinople while The Monk travelled in The Doctor's ship - the Fifth Doctor returned to the planet that he, Vicki and Steven before arriving in 540 AD, where they had confronted a race known as the Antoene and thwarted their plans to destroy a human colony, telling the Antoene that he would lead them to the 'Doctor' by opening a wormhole to Earth. The Doctor also went to the Ostardi before The Monk could 'wake' them to serve as part of his plan to prevent the fall of the Roman Empire and explained the consequences of what The Monk would have asked them to do, with the result that the Ostardi took control of Vicki and Steven - now the companions of The Monk - when they were awoken rather than taking control of the Emperor to aid The Monk's plans, tricking The Monk into becoming trapped in his now-immobilised TARDIS as the Antoene attacked and the Fifth Doctor revealed his return. Although The Monk protested that his actions made no difference in the long run as the universe would still decay away eventually, The Doctor reaffirmed his belief that the people in the universe had the right to live their own lives rather than let existence be defined by what The Monk believed would be better. After The Doctor forced The Monk to trigger a safeguard his enemy had created to return him to his own timeline if his plans went wrong, Sophia's powers allowed The Doctor to simultaneously return to his own role in history, The Doctor revealing his own plan to dispose of the Antoene by reversing the dimensional rift that had brought them into our plane of existence in the first place. Having accepted The Doctor's argument against interfering with primitive races, the Ostardi departed with The Monk, The Doctor dismissing The Monk's rants that he would escape and return as he always did while Sophia confirmed that the future without The Monk was better than the world he would have created even if it still wasn't perfect. While The Monk's fate after the Time War was initially unknown, he eventually returned when the Twelfth Doctor was investigating new reports of the Loch Ness Monster in 1979, now regenerated into a new body that The Doctor didn't initially recognise (It is unclear if this means that he was trapped on Gallifrey when it was hidden in a pocket universe ("The Day of The Doctor") or if he was hiding under a chameleon arch ("Human Nature/The Family of Blood" and "Utopia") until he somehow restored himself). Having discovered an abandoned ship in the far future, manned by robots with a primitive time scoop - The Doctor later speculated that the crew had essentially wiped themselves out of existence due to their flawed experiments creating a time disturbance - The Monk took the ship to Loch Ness in the past, speculating that he would use the scoop to depopulate the planet and sell it to whatever alien race offered him the most, but initially just experimenting with it by dragging a plesiosaurus into the present to draw attention to the loch, revelling in his relative freedom now that the Time Lords were living in isolation ("Heaven Sent/Hell Bent"). Having come to investigate the sightings, The Doctor soon detected and visited the ship, allowing him to take control of its robotic crew and turn them against The Monk, subsequently erasing The Monk's memory of his fragmentary plan using a memory worm before sending him away in his TARDIS and programming the ship to destroy itself in the sun, dismissing his former friend as unimportant due to Mortimus's still-limited plans and ambitions.